Both DotVPN and Unlocator are good VPN solutions, but which one of them is slightly better? That is what this DotVPN VS Unlocator comparison allows you to find out. See how these two VPNs compare to one another, view all of their key features side by side, and discover which one of them is more highly recommended by our experts. 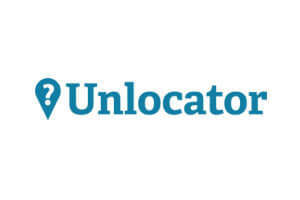 Unlocator brings free Internet surfing to your home in just a few clicks. Avoid geographical restrictions, change your IP anytime, access any website from anywhere, and browse the Internet anonymously with this great DNS service provider. I give Unlocator an F. There is not way to get customer support. All I get are pages and pages of instructions but nothing that helps me with my problem. I have all green status lights on but cannot get amazon prime. Great product and very responsive customer service. Thank you. Maybe it’s not suitable for everyone, but I don’t think you can get a better VPN for this little money. Could work a bit more on the security aspect, but it’s safe enough as it is and it’s cheap so, can’t complain. Unlocator is a DNS service that lets you access any website from any corner of the world. Read our expert-made Unlocator review and user-written Unlocator reviews and decide whether Unlocator satisfies your needs.